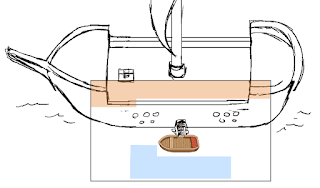 It's not visible right now but our idea is that the ship will be surrounded by some trash and debris like ropes, nets and plants, and you'll walk over on them into the ship through a hole in the hull. When you first get there, we'll pan the camera over the top of the ship to show you what it looks like, and who might be waiting on the deck but.... Yeah, that's right, Luke! 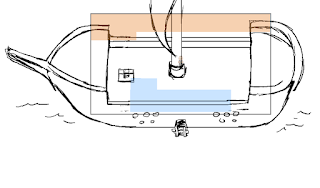 As a lot of you have figured out already, you will definitely be battling Luke here, so getting the size of the deck right is pretty important as there will be a fight going on. 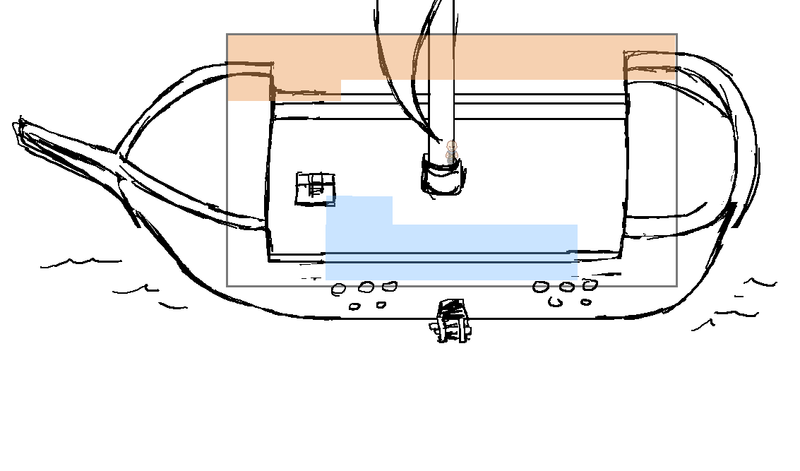 In this first sketch though, we've made the ship a little bit smaller than we'd like, but it's a good place to start. 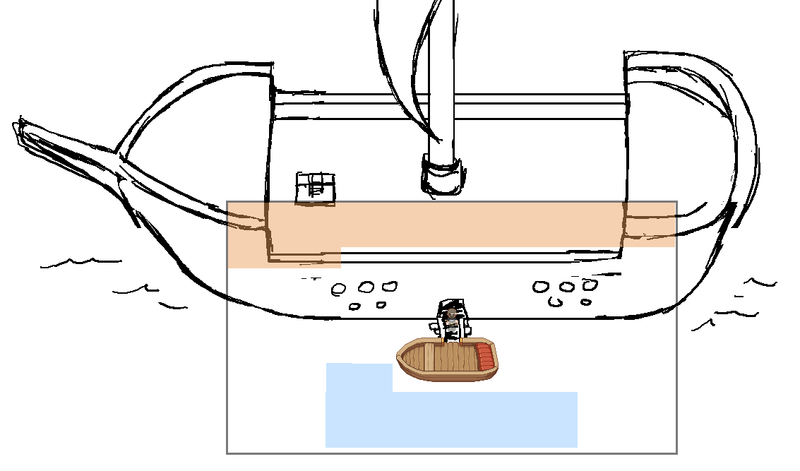 In the above screen you can see another placeholder camera for what the boss fight screen would be like, but again, we'll probably make the ship bigger and seal off the fight area instead - we'll see!